Sitting next to Sunway Pyramid, this mamak has been in the neighbourhood for many years. My friend commented that they are famous for nasi briyani, roti, tandoori chicken and maggi mee goreng. Yes, we have all the cafes like Kim Gary, Zen, Sushi Zanmai, Bar Flam, Wendy’s, Starbucks, Halo Cafe, you name it, but somehow, when we wish to have something less fancy or exotic, we will make an effort to walk to this mamak simply for some authentic nasi briyani, tandoori chicken, roti caphati, roti naan and teh tarik. Many of us will overlook this oldtimer which is worth supporting as we all indulge in the selection of eateries from the adjacent Sunway Pyramid and it’s new extension. Although it is a hotspot that draws the car traffic of the Pyramid’s patrons, there ain’t many people visiting this mamak, sad to say. In fact, we saw waiters and the boss trying to lure customers from the walk way, sigh. 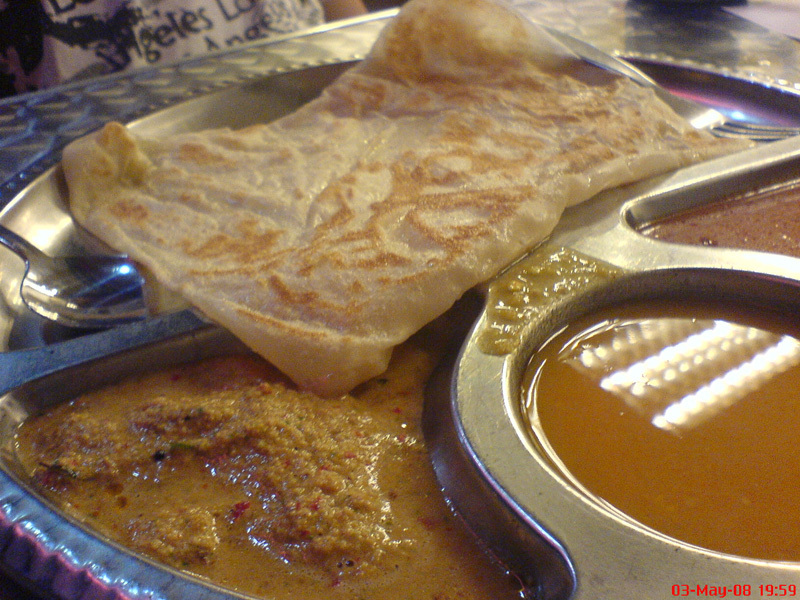 For supper, we can only fit in a roti telor and roti canai. They are both fluffy and crusty, very nicely made for a simple local delicacy, standard well maintained! I ordered 1 more roti canai after that. Here, you can specially highlight to them to get a Jumbo teh ice for only RM1.70 without additional charges (not sure about other drinks though but standard drinks like teh ‘o’ ice, kopi ‘o’ ice, kopi ice have jumbo versions), they are quite friendly, don’t be shy. Do try their crispy snack serves in the morning (forgot the name). Note that there is also 1 lot which is air-conditioned, so no worries about dining in a stuffy & warm mamak anymore. 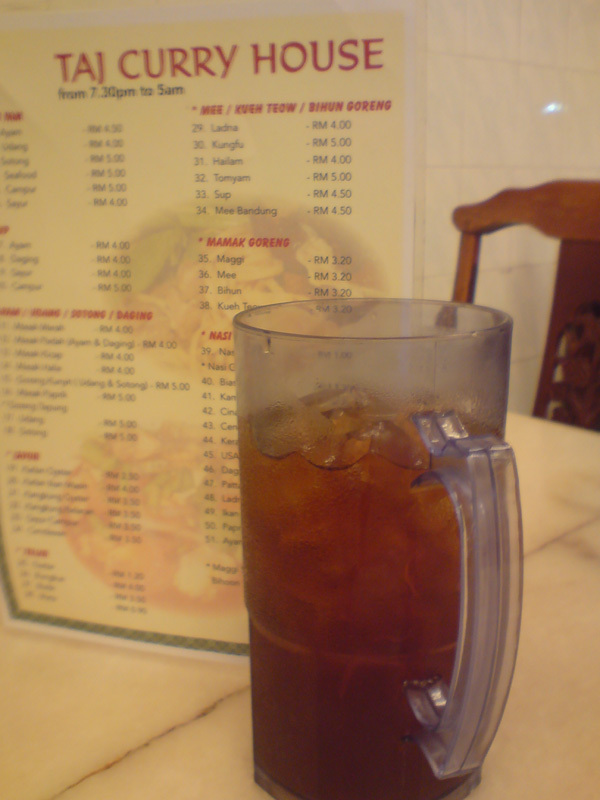 This entry was posted on Monday, July 7th, 2008 at 7:23 pm	and is filed under Heavenly Klang Valley Food, mamak. You can follow any responses to this entry through the RSS 2.0 feed. You can leave a response, or trackback from your own site.